As a Salmon-Safe certified grower and Certified B Corp™ supplier, our commitment to our customers and stakeholders is unwavering — rooted in our core values of quality, innovation, sustainability, and community. 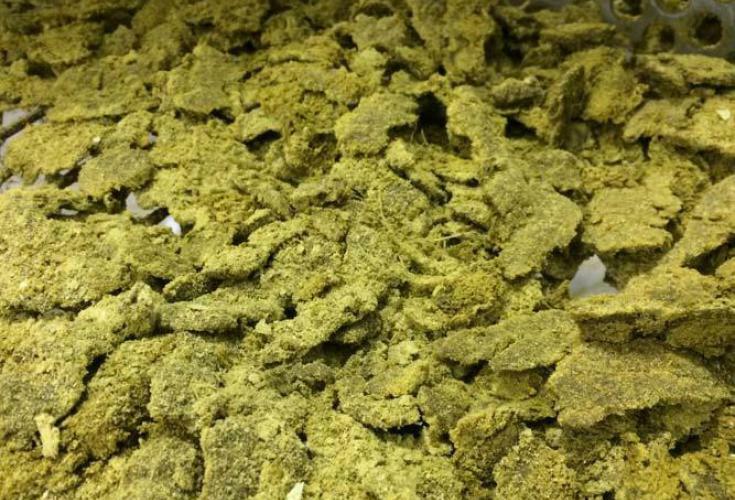 Also known as raw hops or leaf hops, whole hops are whole, dried hop cones that are compressed into 200 lb farm bales, and later repackaged for craft brewers and home-brewers. 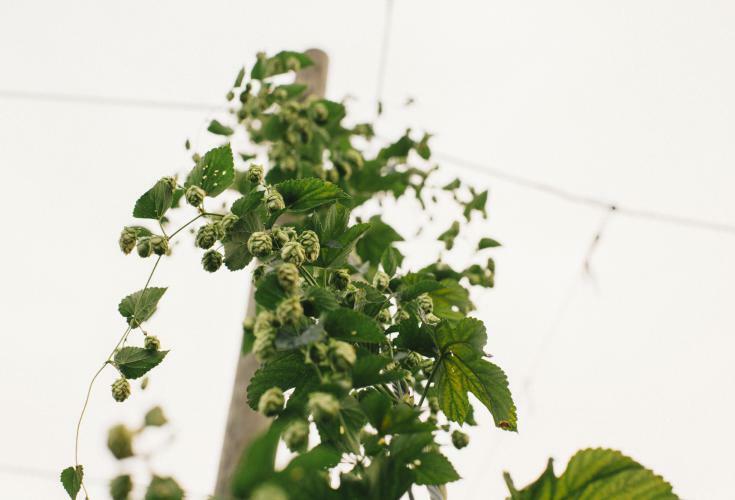 We offer a wide range of quantities with an ever-expanding list of hop offerings for our diverse set of hop consumers. HopHash is a product derived from Crosby®’s high quality pellet production process. 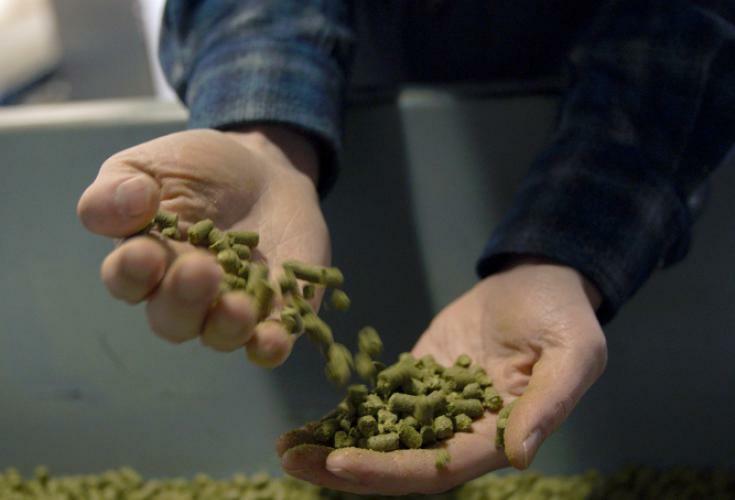 This concentrated hop product offers a double dose of brewing value. 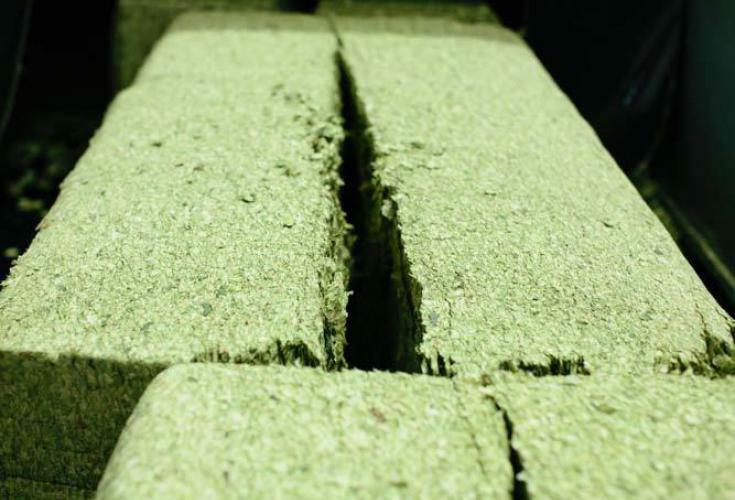 The hop pelleting process includes decompressing baled hops, converting them into a homogenous hop powder, and processing this powder into a quality finished pellet. The limited amount of remaining lupulin glands, resins and oils generated as a byproduct during production are packaged separately to create Crosby HopHash. We developed this potent product for brewers looking for an additional hop pop and innovative recipe options for their brews. Like all Crosby hop products, we have instituted a rigorous QA program for HopHash to ensure the highest level of quality and satisfaction from farm to brew. Harvest is a special time of year for many reasons. When harvest begins, it means that fresh hop beers brewed with Crosby® grown hops will soon be available. Fresh hops, also known as wet hops are not kiln dried, but delivered to the brewhouse within hours of being picked. Pre-orders for fresh hops can be made up to six months in advance of harvest. 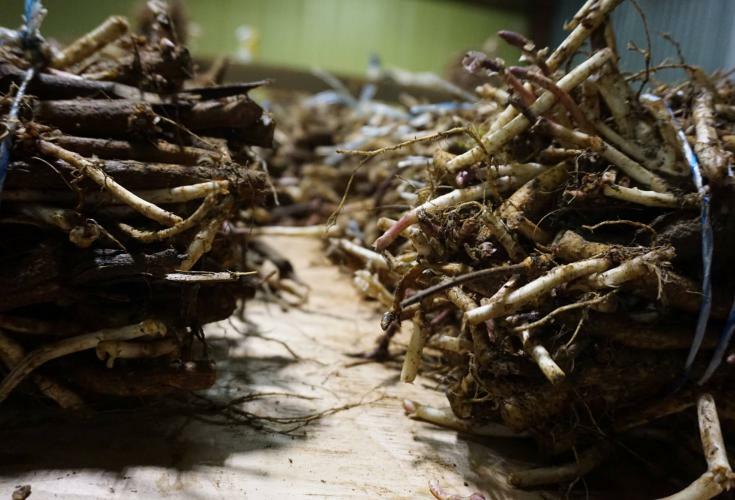 Hop rhizomes are rootstock cuttings taken from mature Crosby Hop Farm hop commercial plants that can be used to propagate new hop plants. Whether you have a small garden or a several acre farm, your best hop crop all starts with high-quality rhizomes. Whether you are making a hop wreath, complementing a floral arrangement, or just love the smell of hops in your home, a farm fresh hop bine will brighten your day. HOP BINES ARE AVAILABLE IN AUGUST / SEPTEMBER. Please CALL THE OFFICE AT (503) 982-5166 to accurately calculate and choose your expedited freight option. We want to make sure your bines are as fresh as possible when they land on your doorstep.